Cockroaches are notorious for being hard to track down and remove permanently. However, they have a weakness—they only linger in areas rich in resources. Here’s how to get rid of cockroaches and shut down their food supplies so they stay gone for good. Don’t give cockroaches any hiding places to run to when discovered. Most important, remove any debris or unnecessary supplies from your house. That includes stacks of cardboard, magazines, and newspapers, which cockroaches love. Try to keep everything off the floor unless it is absolutely necessary to store it there. With your cleaning finished, it’s time to take out a flashlight and give your home a thorough search for any gaps or cracks where cockroaches may be entering. Check your basement, attic, and any visible insulation for cracks. Look around at the edges of your floorboards and underneath your appliances too. Check all cables, hoses, and ducts that enter or exit from the house to see if the gaps they use are fully sealed. Use caulk and foam insulation to seal any gaps that you find. Remember, cockroaches can move through very small spaces, so it’s important to seal up even the tiniest gaps. 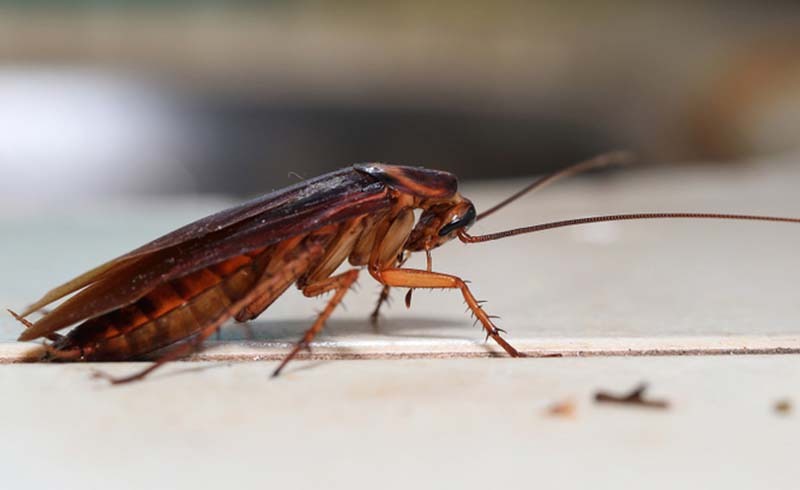 Cockroaches stay in places where they can find food and water. You can make your home unappetizing by removing all available sources of food. Store all fruits and vegetables in the refrigerator. If you have any flour, cereal, grains, sugars or other cooking supplies in bags or boxes, buy plastic bins and store them there instead so they can be fully sealed (and stay fresh longer). After cooking and eating, always clean up thoroughly. Get into the habit of sweeping the floor and wiping down the countries/pantry after a meal, and cockroaches won’t have anything to eat. Otherwise, they will keep looking for crumbs and small spills to live on. Finally, don’t leave any standing water in your home. Fix any ongoing leaks and wipe away all puddles or spills. You may also want to wipe down the bathroom floor after a shower to remove lingering moisture as quickly as possible. 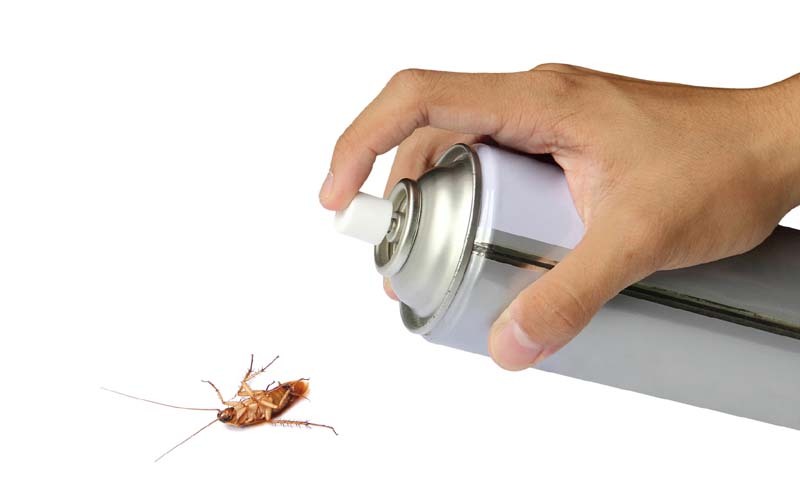 Now that your home is no haven for cockroaches, it’s time to kill those you have left. The best way to do that is with an effective bait trap. Set these up in corners and under appliances where roaches hang out.